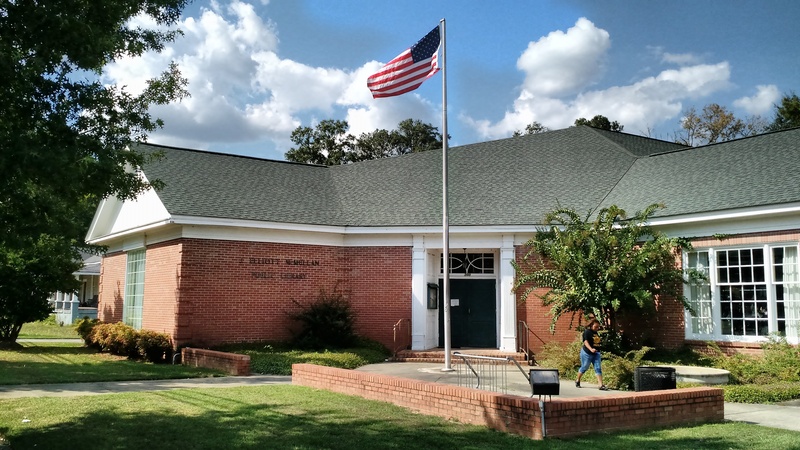 The library address is 300 W Church Street in Newton, Mississippi. Use the map below or call 601-683-3367 for directions or further assistance. The entrance to the J. Elliott McMullan Library on a beautiful fall day.